Aarohi Pandit and Keithair Misquitta have flown about 40 hours each on the aircraft. 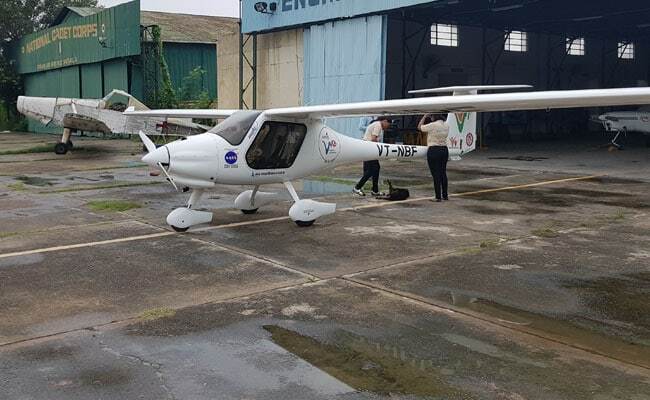 When they take off, the moment the weather clears in the next few days, two young Indian women, Aarohi Pandit and Keithair Misquitta, will attempt what no Indian woman has done so far. The two pilots, in their early 20s, plan to circumnavigate the globe in a tiny Light Sports Aircraft in 90 days. "It's been almost four years that we have been friends. We have been training together at the Bombay Flying Club and we have been legit partners from there," says Captain Pandit. "When we were approached for the expedition, we decided to work together as a team. We wouldn't do it without each other," she says. The tiny plane they will fly, which they call Mahi, is actually a Slovenian-built Pipistrel Sinus. With 80 horsepower on tap, Mahi is just about as powerful as a Maruti Baleno and cruises at 215 kilometres per hour. It can't fly longer than four hours at a stretch so there will be plenty of landings and halts scheduled every day during their expedition. The two women will by flying a light sports aircraft. Mahi is equipped with multi-function displays in her two-person cockpit and also a ballistic parachute rescue system. If things go terribly wrong, Aarohi and Keithair have the option of deploying the parachute which will support the weight of the entire aircraft and bring it down safely to Earth. It's a last resort the two captains hope they will never have to use. Unlike larger aircraft, Mahi is heavily dependent on weather for safe flights. "The main concern for a pilot is always the weather. We always have to check the weather first and then other things. If the weather doesn't support us, there is no way that we can take off," says Captain Misquitta. If everything goes as planned, the two aviators will touch three continents, fly 40,000 kilometres across 23 countries 90 days. In Punjab's Patiala, where they have been training, the pilots are waiting for a spot of clear sky before they can fly to Ahmedabad and then cross Pakistani airspace as they fly westwards. At the moment, they have flown about 40 hours each on the aircraft that will be home for the next few months. Over the next three months, they will have to navigate treacherous mountain ranges, oceans, steppes, the tundra, glaciers, deserts and tropical forests. The tiny plane they will fly, which they call Mahi, is actually a Slovenian-built Pipistrel Sinus. Their journey will take them across Iran, Turkey, Slovenia, Austria, and the UK before they make the treacherous crossing over the Atlantic by flying to Iceland, Greenland before making it to Canada. They then fly across Canada and the US before attempting to cross over the frigid waters of the Bering Strait to Russia. The final leg of the journey sees them flying south across China before flying into Myanmar before they re-enter Indian airspace. Backing them at every leg of their journey is an elaborate ground support team from Nexus Flight Operations India who will ensure that technical support and permissions exist for the aircraft at every spot they land. The expedition itself has been organised by Team WE. WE stands for Women's Empowerment and is led by advertising veteran Lynn de Souza. The Minister for Women and Child Development, Maneka Gandhi, is also supporting the mission and says the two young pilots "will also set a genuine example of empowering India's daughters by their own empowered action". 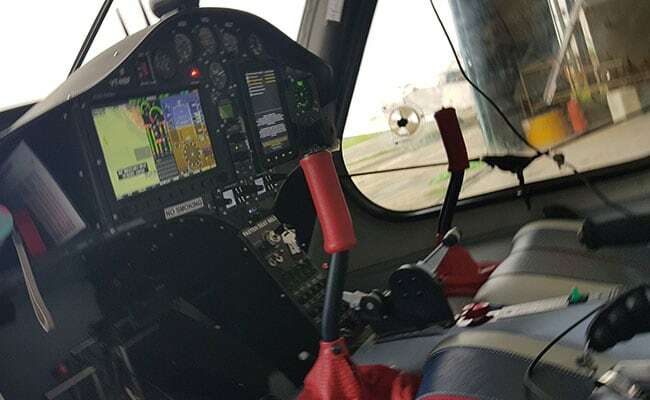 Captain Rahul Monga, a former Indian Air Force helicopter pilot, is a hard taskmaster who ensures that every aspect of flight safety and planning is adhered to. As expedition director, Captain Monga is ''both a headmaster and a friend'' says Captain Misquitta. A veteran aviatior, Captain Monga holds a world record for the fastest circumnavigation in a microlight aircraft. The sky seems to be the limit for India's two young aviators as they get set to fly on an adventure of a lifetime. They know there will be challenges en route -- bad weather and perhaps technical problems. Through it all, they know there is one constant -- their determination to succeed.